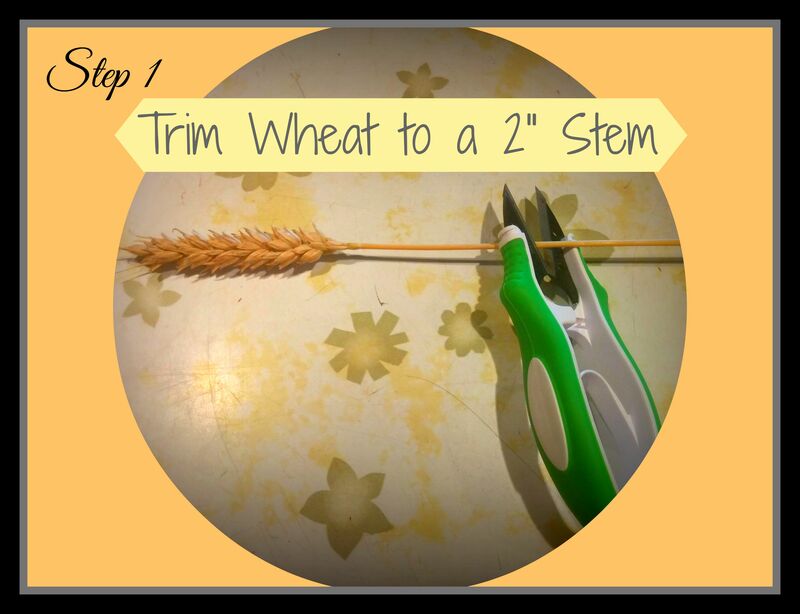 Step 1: The first thing that you need to do is trim your wheat to have about a 2″ stem. If you are picking your own wheat out of the field, I highly suggest that you just cut off 2″ stems out there. And yes — I did learn this the hard way…. I had to cut each wheat stem twice! 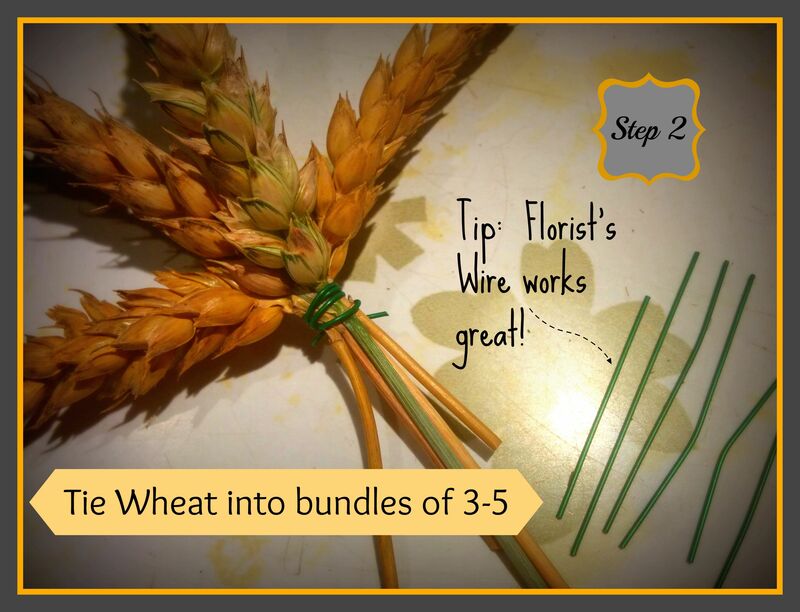 LOL Step 2: Tie your wheat into bundles of 3-5 heads. You could use any type of string that you have on hand, but I found that Florist’s Wire works the best! Just cut it into 1.5″ pieces and wrap around the wheat…. Way easier than tying a million little knots! (Don’t worry — you don’t have to really tie a “million” knots!) 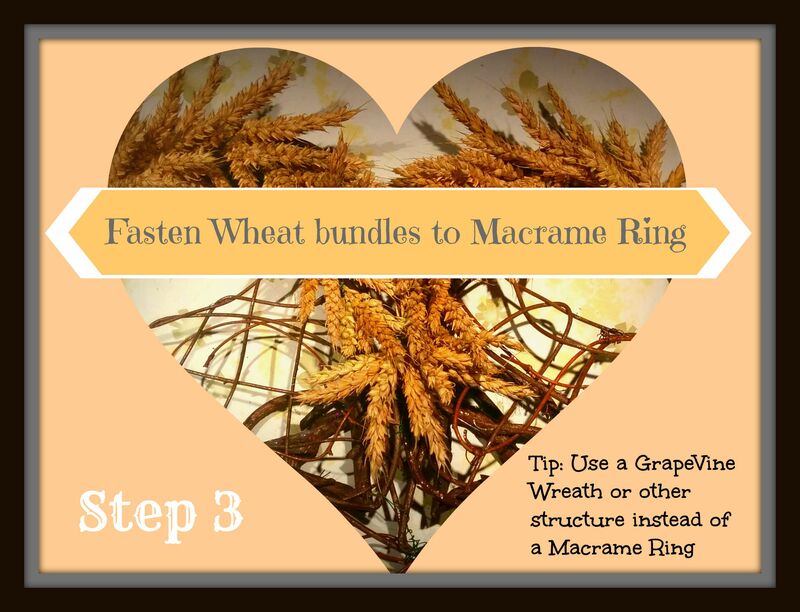 Step 3: Use a glue gun to attach the wheat to your macrame ring, or grapevine wreath, (I used a grapevine wreath because it’s what I already had on hand). 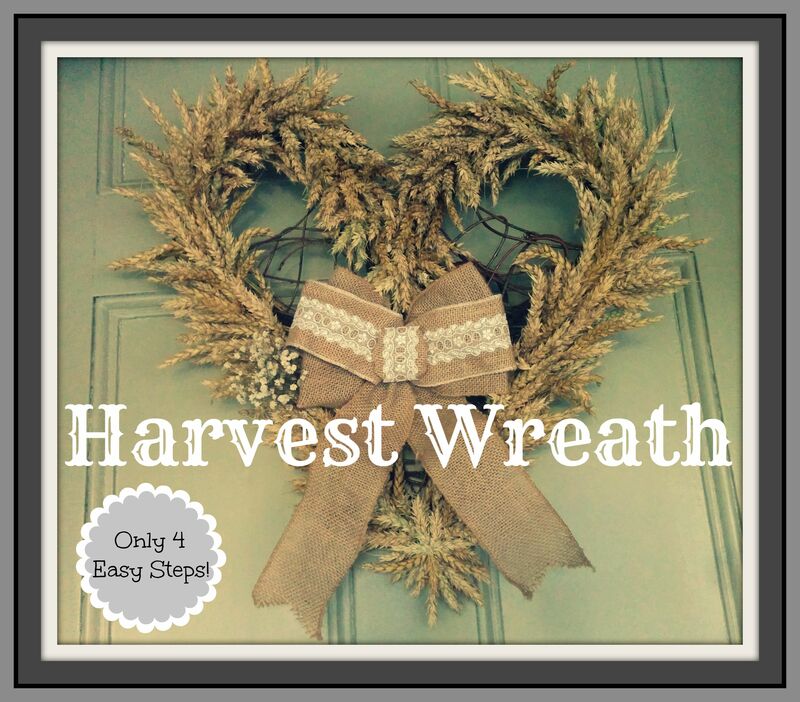 You will want to start gluing at the top of the wreath and overlay each bundle on top of the previous one. 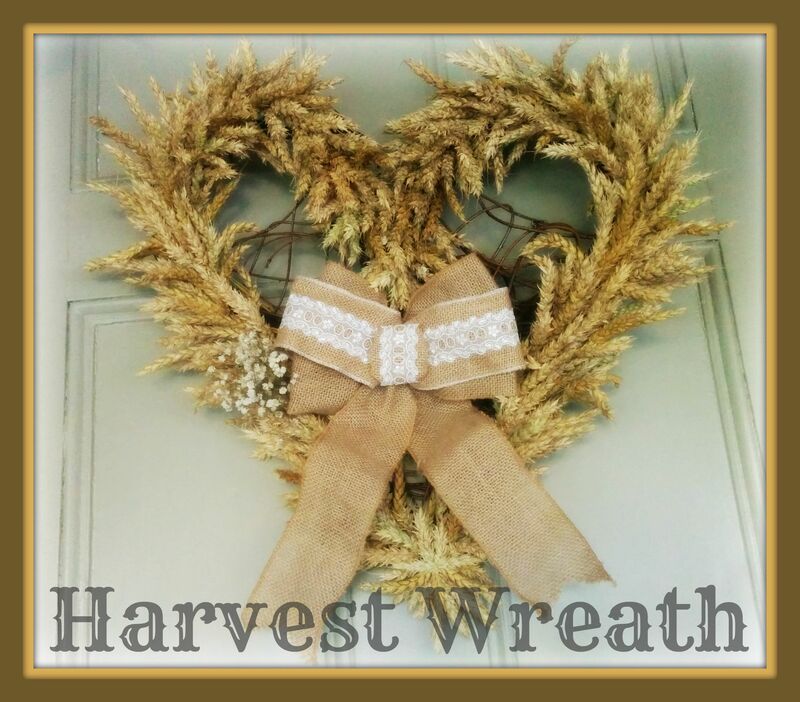 Once you have done a full lap around the whole wreath, go back to the top and fill in any bare spots. 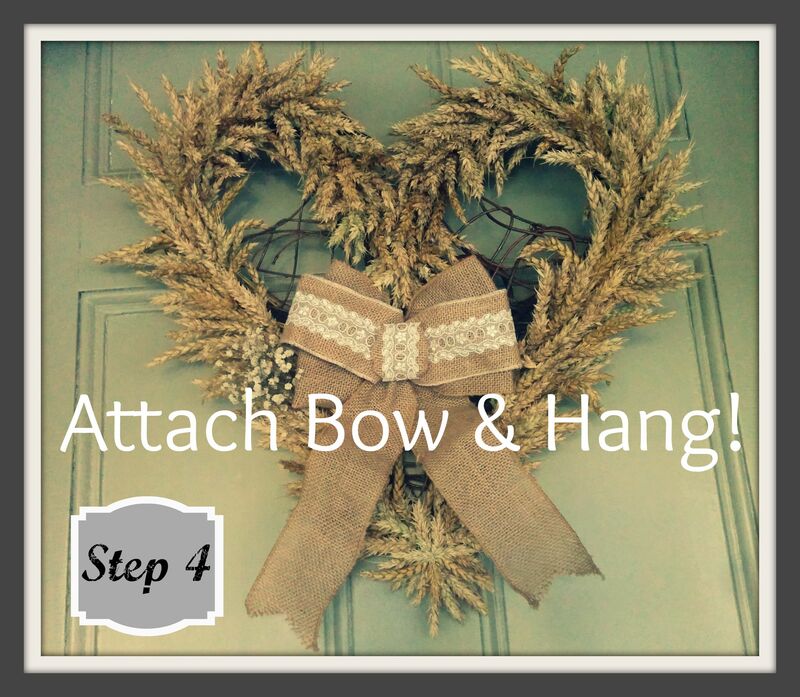 Step 4: Use florist’s wire to attach your bow and hang your wreath! SO simple and SO beautiful! Tip: If you need help making a bow, check out my good friend Courtenay’s simple instructions for making The Perfect Bow, over at The Creek Line House!